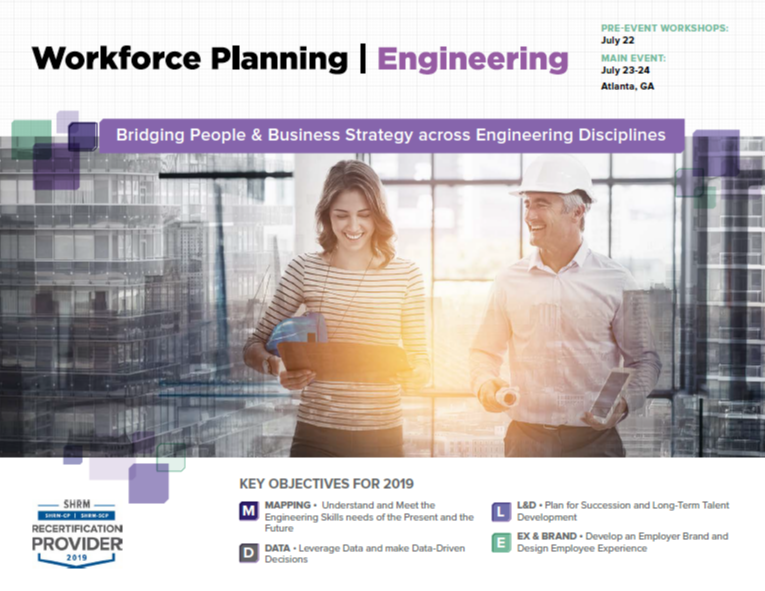 Workforce Planning for Engineering Summit is heading to Atlanta, July 22-24. Join us for the event bridging people & business strategy across engineering disciplines. Please complete the form below to view the 2019 program.